Connecticut’s wet winter will unleash a flood of pollen this spring season. Sniffles, sneezes and sore throats may be triggered by allergies, but how can you tell if it’s a cold, sinus infection or the flu instead? Physicians at American Family Care (AFC), expect to see scores of suffering patients seeking relief from sinus symptoms. 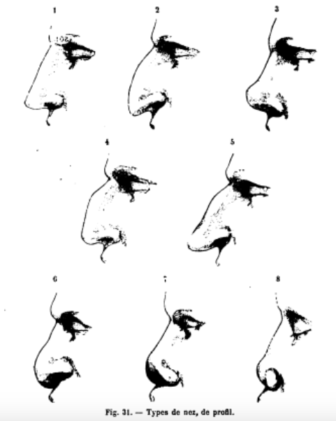 Nose shapes used in Paul Topinard’s nasal index (19th century). Spring allergies will cause itchy water eyes, runny nose, scratchy throat, wheezing, coughing and even hives. The symptoms of a cold are often characterized by runny nose, sore throat and cough. A distinguishing factor might be that in some upper respiratory infections commonly known as colds, the patient will also have a fever, malaise (feel bad) and muscle aches. Acute sinusitis is characterized by a stuffy or runny nose accompanied by pain in the forehead and/or over the cheeks. If severe enough, there can also be a fever. 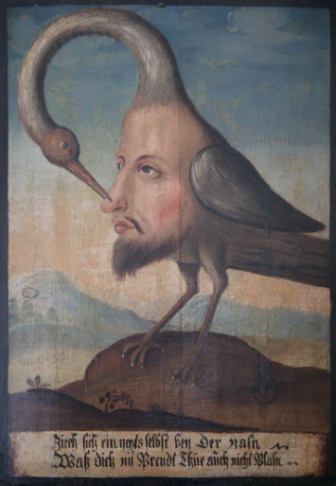 The nasal discharge may be very yellow. If there is swelling of the nasal passages due to allergies or common cold, which prevent the sinuses from draining, then this may lead to sinusitis. Acute sinusitis can be treated with antibiotics. A doctor’s diagnosis is the only way to truly determine the source of the illness. AFC urgent care centers are a convenient, affordable alternative to the emergency room providing quick, immediate medical care. If the problem is allergies, Dr. Ali recommends long-acting, non-sedating oral antihistamines such as Zyrtec, Xyzal, Allegra or Claritin. Over the past several years, nasal steroid sprays such as Flonase and Nasacort have become available over the counter. However, Dr. Ali warns that nasal decongestant sprays such as Afrin, can cause physical dependence in as little as two to three days of use, i.e. 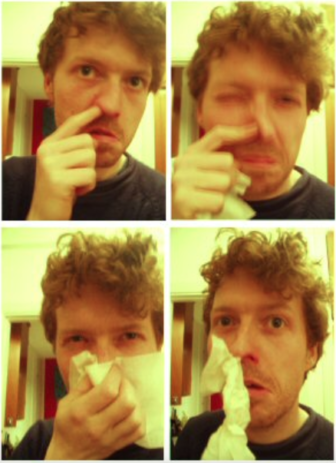 your nose becomes addicted to Afrin. Avoid the allergy source – don’t open the windows, don’t hang clothes outside to dry. Wear sunglasses outside to keep pollen out. Avoid rubbing your eyes and avoid wearing contact lenses. Use artificial tears. Wash your hands and clothes after playing with a dog or being outside. Check the daily pollen count at the National Allergy Bureau of the American Academy of Allergy Asthma & Immunology website — and limit time spent outdoors when it’s high. AFC locations are open Monday through Friday from 8 a.m. to 8 p.m. and weekends from 8 a.m. to 5 p.m. No appointment is required. Danbury locations are at 2 Main St., 100 Mill Plain Road and 76C Newtown Road.